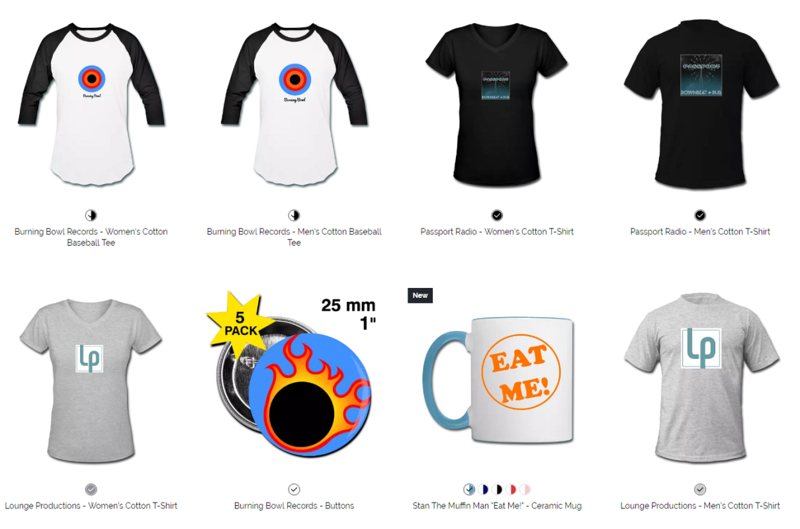 Our merchandise showcases Lounge Productions dedication to Downbeat & Dub music. The most comprehensive "Downtempo" site now offers some of the most influential and established artists of the genre on our boutique record label. Burning Bowl Records has aired on BBC Lancashire with Steve Barker and BBC6, Morning Becomes Eclectic with Nic Harcourt and KCRW, FM Brussels, Sound Swound on FM4 Vienna, WYEP, KEXP, KPFA, KUCI, and over 100 other radio programs across the globe. ECO-Conscious: Lounge Productions promotes environmental sustainability by using green components; including CD's manufactured with 100% green certified forestry cardboard, all vegetable inks and environmentally friendly matte gloss. We also use recycled & precycled shipping materials and offer merchandise manufactured with a reduced carbon footprint.